How about this for a ridiculous modern myth. There is a machine somewhere in America that can take virtually any sort of waste – offal from an abattoir, old tyres, junked computers – and turn it into high quality oil, plus pure minerals and clean water, all in a few hours. It is an invention that could change the world. 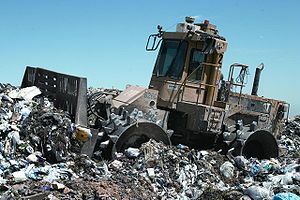 Not only might it end the wests, and in particular Americas, dependence on imported oil, but it has also the potential simultaneously to solve the increasingly pressing problem of waste disposal. via Is this the ultimate recycler? | Education | The Guardian. Changing World Technologies (CWT), founded in August 1997, is committed to addressing energy and environmental problems simultaneously. Using our patented Thermal Conversion Process (TCP) we are able to transform organic wastes into valuable products without further destroying our delicate planet. CWT is forging a viable economic benefit from a dangerous environmental burden.